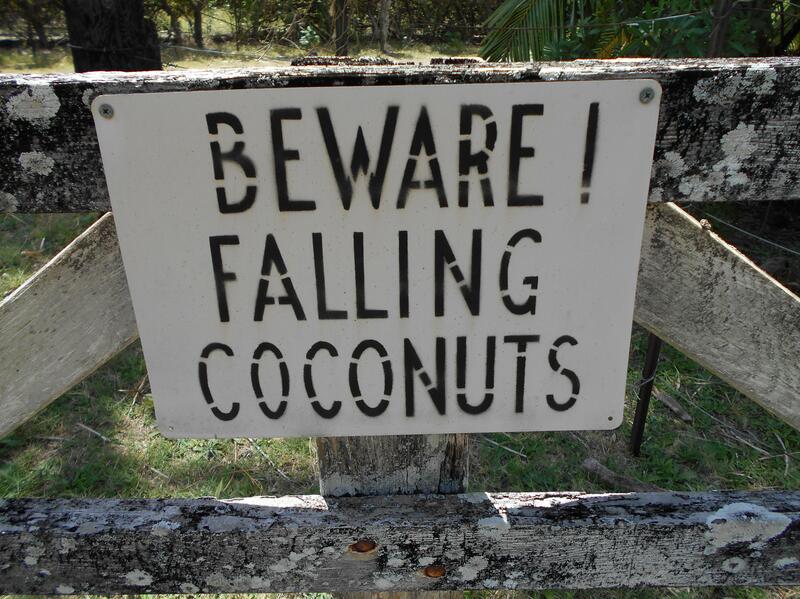 Never set up camp or sit underneath a coconut tree. And remember that life in Hawaii is so good that your biggest worry is a piece of fruit falling on your head. Granted, with enough height and a good enough amount of weight, a coconut could easily kill a person, but COME ON, what a great thing to have to worry about. It’s not possible to avoid having problems in life, but I sure love the idea of a problem being solved as easily as by simply looking up. What a metaphor, solve all life’s misunderstandings by doing the simple task of glancing upward.